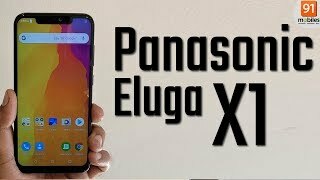 Panasonic Eluga X1 price in India starts from Rs. 22,990. This phone comes with 64 GB internal storage, 4 GB RAM. 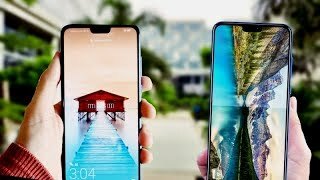 this phone was launched in October 2018. This beautiful device comes with 4 GB RAM and 64 GB internal storage variant. It is powered by an Octa core (2 GHz, Quad core, Cortex A73 + 2 GHz, Quad core, Cortex A53) processor and has MediaTek Helio P60 chipset. It comes with IPS LCD capacitive touchscreen, 16M colors 6.18 inches with resolution 1080 x 2246 pixels. screen resolution is 1080 x 2246 pixels, 19:9 ratio (~403 ppi density). It runs on Android 8.1 (Oreo) and is powered by Non-removable Li-Ion 3000 Mah battery. Features of this gadget are good, as that of others smartphones. It includes a 6.18 inches, (~82.1% screen-to-body ratio) HD Display including Multitouch, Corning Gorilla Glass 3 protection. This phone runs on Android 8.1 (Oreo), in addition to this, it has accelerometer, gyro, proximity, compass. It also has, Octa core (2 GHz, Quad core, Cortex A73 + 2 GHz, Quad core, Cortex A53) Processor which is good. additional features include Fingerprint sensors at the rear camera of the phone, it also has fast charging, and the design of this phone is also very attractive. This phone supports microsd card upto 256gb with a dedicated slot.